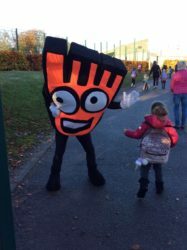 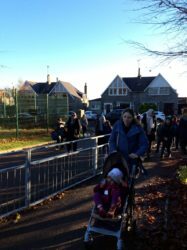 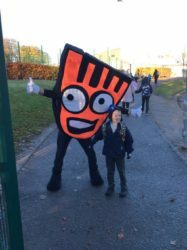 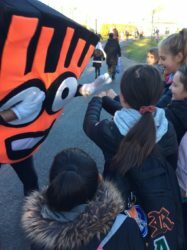 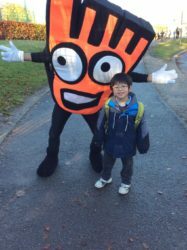 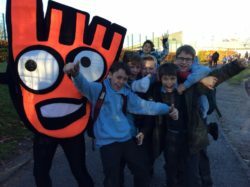 Mile End took part in the North East Walk of Fame last month which encourages each school in the North East of the country to increase their active journeys to school. 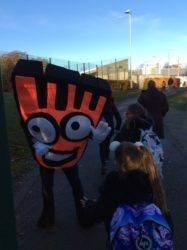 We were the overall winners for the month which meant we got a special visit from Strider, the Walking Streets mascot on Friday. 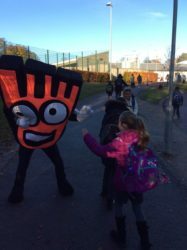 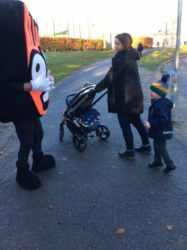 He was at the gate to greet pupils and parents with a high 5! 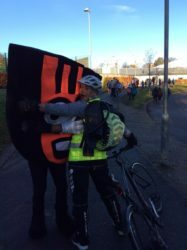 Thank you to all of you who make the effort to do active journeys throughout the week.